Lufthansa Innovation Hub used artificial intelligence to analyze the major themes and topics discussed by Wall Street’s banking analysts and the top management executives of five major airlines during 60 earnings calls between 2015 and 2018. Our findings provide a quantitative, systematic and objective indication into the most burning topics for each of the five airlines and the extent to which “Wall Street” (meaning the financial and investment community) is interested in how airlines are preparing themselves for a digital future. All 8,223 paragraphs of text were analyzed via machine learning algorithms to identify keywords and phrases in each paragraph. Words were compared from each paragraph of text to create links between them based on similar language. Quid replicates the process at an immense scale, producing a visual network that shows how similar all of the paragraphs are to one another. Clusters are formed that illustrate overarching themes and topics. Digital transformation is arguably the greatest threat to well-established companies in a variety of industries. The airline sector is no exception. In a recent survey of 677 corporate strategy executives by market research firm CB Insights, 41% of the respondents said that their companies are extremely at risk or very at risk of being disrupted by emerging technologies. Only 4% said they were not affected at all. Earnings calls are meant to provide a detailed overview of a public company’s financial health and long-term viability. Public company executives explain their financial performance, future expectations and outlooks, while banking analysts engage in Q&A sessions, helping Wall Street to develop more accurate earnings expectations for the future. The written transcripts of these earnings calls offer a comprehensive record of the comments, questions and discussions during these conversations and thereby deliver an inside view into Wall Street’s major areas of interest. How does management evaluate its company’s digital innovation progress? 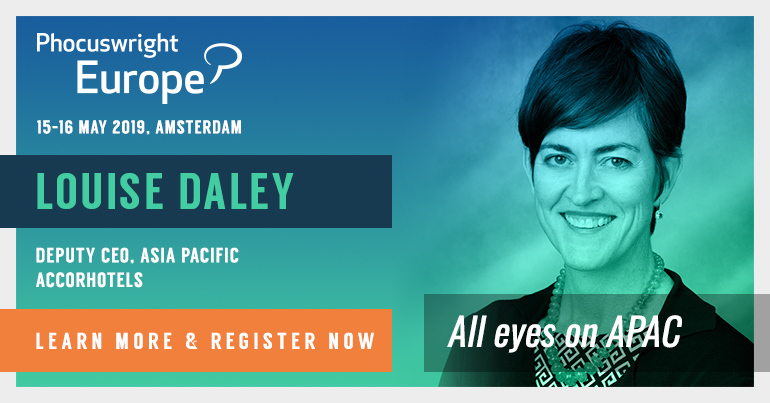 How do executives assess competition from nontraditional industry players and emerging technologies? What is required of management to lead and deliver a digital transformation to secure a public company’s future earnings? In summary, we wanted to find out how much “digital innovation” is actually discussed during airlines’ earnings calls and how much Wall Street analysts drill down to discover an airline’s long-term digital innovation strategy. The short answer? So far, Wall Street doesn’t put any emphasis on “digital” in the aviation context. However, this indifference appears to be well-grounded, as I will explain at the end of this post. But first things first. What did we discover? A ranking of the 20 largest topic clusters discussed in airlines’ earnings calls shows that traditional financial and airline-industry themes predominate. Most of the conversations involve examining various revenue, cost and income metrics, overall segment growth, fuel price developments and management changes (see the complete list here). Elon Musk would probably label most of these financial topics “boneheaded” and “boring,” as he did during his famous earnings-call rant with Bernstein’s Toni Sacconaghi and other respected Wall Street analysts in Tesla’s memorable earnings call of May 2018. Musk later kind of apologized for his insults and refusal to respond to legitimate questions. In the long run, growing and consistent earnings are arguably the most important driver of individual stock performance and that is the job of banking analysts (on behalf of investors) to focus on. Looking at each of the five airlines individually and comparing their relative focus to one another (in terms of number of paragraphs per topic cluster), we can identify the most pressing topics for each airline. Unsurprisingly, each carrier has its own focus areas and unique challenges. Out of 8,223 paragraphs from the airline transcripts, only 187 actually deal with digital disruption and the airlines’ innovative strategic moves. This represents a meager 2% of the total time spent in earnings discussions. Out of all the statements mentioning digital-innovation themes, 185 of those 187 were made by airline executives themselves. Wall Street analysts’ interest in digital themes is not perceptible. In 60 earnings calls over three years, only two questions (out of a total of 1,544 questions/comments) from banking analysts were directly related to airlines’ digital services and offerings. Instead, the bulk of Wall Street’s other 1,542 questions and comments focused on short-term financial metrics (in particular profitability) with little apparent interest in long-term strategy. Moreover, analysts preferred to discuss external factors affecting income levels and margins, such as fuel price changes, workforce strikes, weather abnormalities and currency fluctuations. We have demonstrated that digital innovation efforts by airlines seem to be of little interest to Wall Street. Furthermore, when plotted over time, the 187 statements of “digital talk” do not show any upward trajectory. On top of that, an analysis of the language tone (sentiment) used in earnings calls illustrates that the overall amount of negative or neutral language has in fact steadily decreased since 2015. Wall Street seems to identify more pressing topics regarding the airlines’ financial viability than their digital transformation efforts. From the analysts’ perspective, the five airlines in our study performed well enough, even without having much of a digital-innovation focus. Indeed, the positive sentiment expressed in the conversations gradually increased over this period. The question of whether a company’s commitment to digital innovation really pays off, in the end, may be hard to prove (see one interesting study by MIT that shows a significant correlation between the ideation rate at companies and the growth in profit or net income). Nevertheless, at the Lufthansa Innovation Hub, we are convinced that a culture of digital innovation enables our parent company to stay creative - and be more competitive - over the long run. CB Insight’s recent corporate innovation study only strengthens this view. The study shows that high performers have a greater appetite for risk and were 3x more likely to strive for first-mover advantage. High-performing companies, in other words, tend to place bigger bets on uncertain projects and invest more in disruptive innovation. 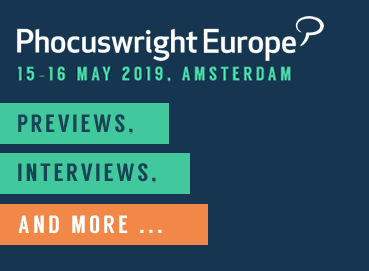 Christian Langer, vice president of digital strategy at Lufthansa Group, speaks at Phocuswright Europe 2019, May 15-16 in Amsterdam. Why is digital innovation not valued more by Wall Street? We are not the first to challenge Wall Street’s relationship to long-term-oriented innovation topics. It is no secret that banking analysts contribute to the pressure placed on companies to focus on short-term financial results. But analysts are not alone. A New York Times article on short-term thinking provides a powerful overview of the impact of many bad actors in the financial sector. On the other hand, it is also no secret that Wall Street is usually good at what it does. Bankers and analysts understand how to price debt and equities while assessing the potential of loss, which they do meticulously. At the same time, Wall Street offers presumably limited fertile ground for those who aim to define the future. Usually, this involves tolerating high risk and conceiving how things could be done differently. Elon Musk’s brusque exchange with analysts exemplifies this tension - and he is by no means alone in his frustration. “We will continue to make investment decisions in light of long-term market leadership considerations rather than short-term profitability considerations or short-term Wall Street reactions," says Amazon chief Jeff Bezos. On top of the often-cited tendency by capital markets to focus on short-term financial results, another, closely related, but rather surprising component might contribute to the lack of digital innovation topics discussed during earnings calls of airlines. According to recently published research in HBR, financial markets reward “growth” companies for investment in digital technology, but actively punish more mature, steadily profitable firms for the same. “When investors value firms for their growth potential rather than current profits - as is the case with startups and tech giants - they are not only more likely to invest in digital innovation, but also obtain higher market valuations. These results indicate why incumbent firms, such as our group of airlines, might find it difficult to move away from existing sources of value to pursue new digital innovations, let alone get rewarded for this effort by capital markets. In the end, banking analysts - as agents who act on behalf of investors in the stock market - have limited interest in airlines’ efforts to become more digital and invest in new and disruptive technologies as long as these initiatives do not translate into immediate profit improvements. The basis of discussion for any earnings call forms the respective company’s most recent financial statement (usually their quarterly results). The problem: Traditional financial reports have become less useful in capital market decisions. Recent research even claims: Accounting earnings are practically irrelevant for digital companies as tech-oriented firms often have assets that are intangible in nature, and many have ecosystems that extend beyond the company’s boundaries (just think of Uber and Airbnb). The research says: “The building blocks for a digital company are research and development, brands, organizational strategy, peer and supplier networks, customer and social relationships, computerized data and software, and human capital. "The economic purpose of these intangible investments is no different from that of an industrial company’s factories and buildings. In another study, researchers show that earnings explain only 2.4% of the variation in stock returns for a 21st-century company - which means that almost 98% of the variation in companies’ annual stock returns are not explained by their annual earnings. As companies, including airlines, become more digital and spend more on intangible investments, new manners and ways have to be found by which this value is conveyed to Wall Street. Earnings calls in today’s format are based on traditional accounting methods, such as the income statement, which provide limited capacity to capture the principle value creator for digital-oriented companies: increasing return to scale on intangible investments. Without an adapted basis of discussion, for instance, the additional reporting of non-financial indicators (e.g., web or app traffic), it will remain a challenge for banking analysts and company executives to discuss the value (e.g., network effects) that is powered by digital investments. Our AI-based analysis of the major topic clusters discussed during earnings calls has shown that such digital value-creation talk has not arrived in the airline sector (yet). Lennart Dobravsky is a trend and market analyst at Lufthansa Innovation Hub.